Today, in the prestigious Oberdan Space in Milan, took place the closing night of the International Film Festival of Art,the 2015 edition, which gathered over 500 works from all over the world, has seen in the final selection as many as 50 films from 21 countries, representing the latest trends in international cinema based on the themes of art. 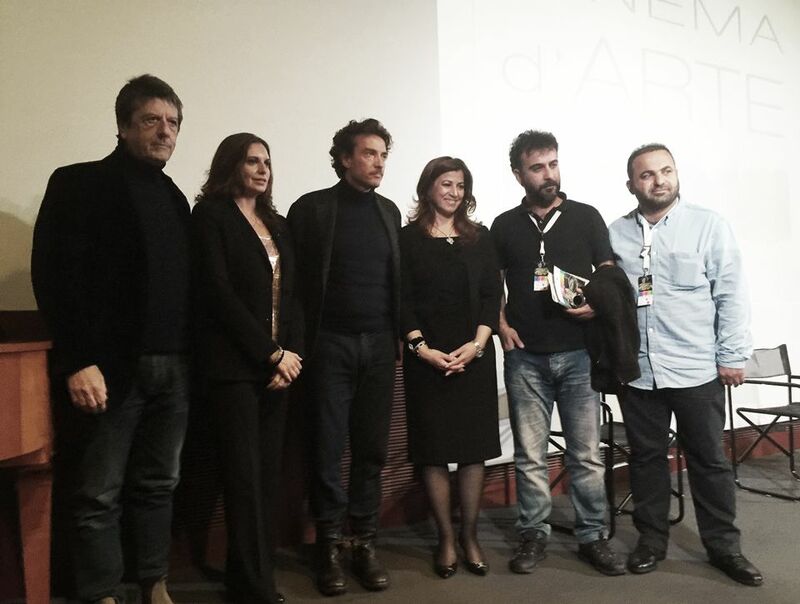 Mrs. Kader, was invited on stage by Artistic Director Luca Cavadini next to the journalist Andrea Purgatori, Jury President and the Councillor for Culture of the Region Lombardy Cristina Cappellini, to deliver the award to the Kurdish director Shwan Attoff, winner the short film "Home & Key". The short film, which tells the story of the extinction of a Kurdish family in the twentieth century, is also the story of all the Kurdish people, the suffering endured by the dictatorship of Saddam Hussein and the bombing with chemical weapons. At the same time, it is also the mirror of the identity of the Kurdish people, the importance of the values ​​of brotherhood, solidarity and civil coexistence. Once the greetings and thanks to the organization and institutions ended, the High Representative, has launched an appeal to both the Italian institutions, international and civil society to remain vigilant on the current terrorist threat, the one represented by ISIS, which is not just a danger for the survival of the Kurdish people but also for the entire international community. That art is, therefore, an occasion to reflect and not to stop supporting the Kurdistan Regional Government in this important challenge.